My spell checker just told me “wantless” isn’t a word. Apparently over the last hundred years we’ve not only lost the ability to be without want but we’ve also lost part of the language that describes such a foreign state of mind. WANTLESS, a. Having no want; abundant; fruitful. But here we are in 2011, gearing up for another Christmas where want will be in no short supply. Soon enough we’ll be systematically bombarded by retailers telling us we need their products. And with surgical precision the retailer reaches the place of want in the consumer and another sale is made. Would David Need New Shiny Things? What’s a marketer supposed to do with that? He can’t even get a foothold. David, a shepherd himself, considered himself a blessed sheep who belonged to the greatest shepherd who ever existed. He had no want and therefore experienced a measure of abundant satisfaction that no material thing could ever grant. But most of us aren’t experiencing this sort of contentment. Instead we’re like wandering sheep. We’re like Mrs. Gad-about. I want to share a true story with you. It’s told by Philip Keller in his classic book, A Shepherd’s Look at Psalm 23. I once owned an ewe whose conduct exactly typified this sort of person. She was one of the most attractive sheep that ever belonged to me. Her body was beautifully proportioned. She had a strong constitution and an excellent coat of wool. Her head was clean, alert, well-set with bright eyes. She bore sturdy lambs that matured rapidly. But in spite of all these attractive attributes she had one pronounced fault. She was restless — discontented — a fence crawler. So much so that I came to call her ‘Mrs. Gad-about.’ This one ewe produced more problems for me than almost all the rest of the flock combined. 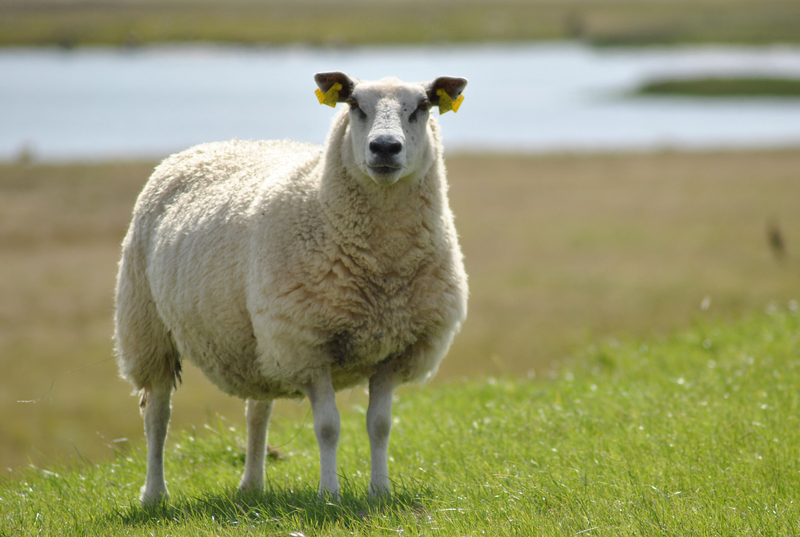 No matter what field or pasture the sheep were in, she would search all along the fences or shoreline (we lived by the sea) looking for a loophole she could crawl through and start to feed on the other side. It was not that she lacked pasturage. My fields were my joy and delight. No sheep in the district had better grazing. With ‘Mrs. Gad-about’ it was an ingrained habit. She was simply never contented with things as they were. Often when she had forced her way through some such spot in a fence or found a way through the end of the wire at low tide on the beaches, she would end up feeding on bare, brown, burned-up pasturage of a most inferior sort. But she never learned her lesson and continued to fence crawl time after time. Now it would have been bad enough if she was the only one that did this. It was a sufficient problem to find her and bring her back. But the further point was that she taught her lambs the same tricks. They simply followed her example and soon were as skilled at escaping as their mother. Even worse, however, was the example she set the other sheep. In a short time she began to lead others through the same holes and over the same dangerous paths down by the sea. I think we can all relate to this ewe; some more than others. The Bible says, “We all like sheep have gone astray.” That’s everyone. But the real tragedy is to come into a relationship with such a good shepherd and yet habitually go astray. Like Mrs. Gad-about, we venture to the edge of the fence until we hear a voice from the other side beckoning us. As we straddle the fence the voices outside the kingdom get louder as our shepherd’s voice fades into the background. This Christmas season we have a great opportunity. We can listen to the world tell us what it is we need and what our loved ones need or we can choose to listen and obey the voice of our Shepherd. Does God Love Me More When I’m Snowboarding or Sharing the Gospel? Is the Gospel Behavior Modification?